If at all an amorphous living group of Sampradayas can be said to have a structure, that structure in Hinduism comes in the form of the Akhadas or Apex bodies of Hinduism. These bodies constitute a loosely knit federal structure that was created by Adi Shankara in the 8th Century AD – one of the more recent incarnations – to give stability to Hinduism. The Akhadas were ascetic warriors who for the longest period in the history of the country protected Hinduism from the invaders from the west. The 13 Akhadas of today are headed by a committee called the Akhil Bharatiya Akhada Parishad. “One week before India news, IBN7 and other news channels came to me and asked about Swamiji. I said to them that Swamiji is the backbone of Sanatan Hindu Dharma. We went to Swamiji’s room now and they brought two children there. Their eyes were blindfolded and when I gave them my Visiting Card and mobile they were clearly able to read everything. I was initially surprised but later Swamiji explained that when Mahabharata was fought, Sanjaya was sitting at a remote location and was able to see everything happening on the war field. Same way even we can see things which are far off. Swamiji has entered the inner space of these kids through the power of his penance and awakened their third eye. Our scriptures say that Bhagwan Shankar had a third eye, all this is not fraud. When a person has the power of penance then he can do anything. So I believe that Swamiji has such a power of penance through which he can teach anyone this science. Even I will be sending 11 of my students, who will learn from Swamiji. I welcome such great Swami and congratulate him for this breakthrough. Today, after seeing the sadhna, tenacity and strength of respected Nithyananda Swamiji, I truly felt that I have arrived at the Ashram of some divine being. I am the head of 13 akhadas, but today I am so happy to be with such a great Saint – Paramahamsa Nithyananda! When the media came and asked me, I said, “Swamiji is the backbone of Hinduism!” The media people asked me, “You have made such a huge statement! 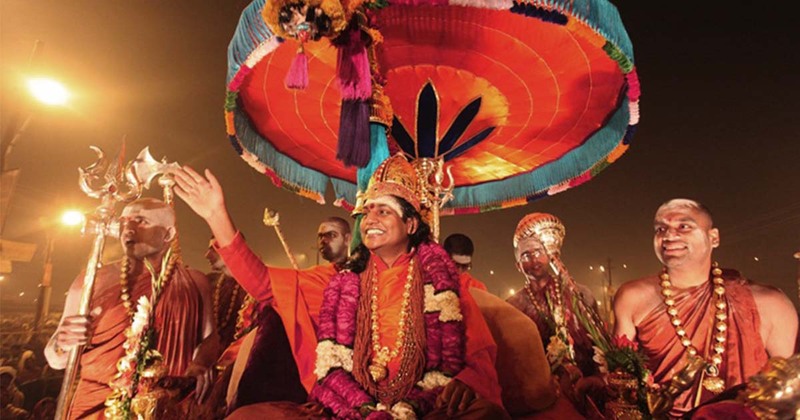 How are you able to say that Paramahamsa Nithyananda is the backbone of Hinduism?” I said, Paramahamsa Nithyananda Swami has not only done the work of Hinduism here, but he has taken the respect and honor of Hinduism all over the world. A human being cannot go forward or achieve big things in his life without tests and without hard work. Swamiji was put under so many attacks, but still he is untouched and is established in enlightenment. One day Paramahamsa Nithyananda is going to be the Guru for the whole world! 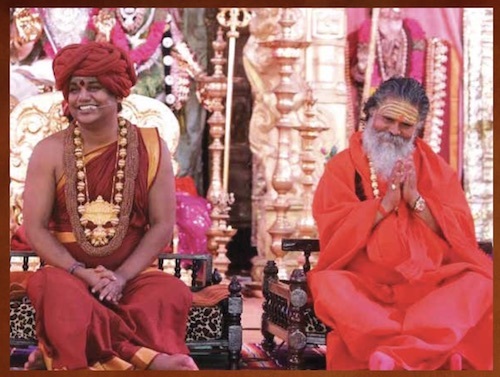 Many leaders of multiple Akhadas have openly acknowledged and extolled the divinity and matchless contribution of His Divine Holiness Sri Nithyananda Paramashivam. In the Kumbh Mela at Triambakeshwar near Nasik, Sri Ravindrapuri Maharaj, Sri Panchayati Akhada Mahanirvani, was pleasantly surprised at the expression of divinity of His Divine Holiness expressing as the amazing manifestation of spiritual powers by the students of his traditional school Nithyananda Gurukul.